We’ll take one of our quarterly breaks after this issue. Watch for us again Oct. 15. The mornings are cooling down in Gunnison, Colorado, where much of our High Country News editorial team is hunkering down, and students have arrived at Western State Colorado University to start the fall semester. As they haul their backpacks across campus, some HCN staffers haul suitcases across state lines, moving to new places across the West. But first, a wedding. In Gothic, Colorado, Associate Editor Kate Schimel married her longtime partner Ethan Linck, an occasional HCN contributor. Editor-in-Chief Brian Calvert officiated, and current and former staffers returned to the Western Slope to attend. We wish Kate and Ethan all the best in life, and also on their long drive to their newly shared home in Seattle. Other staff members have relocated, too: Assistant Editor Emily Benson has moved to Moscow, Idaho, and Editorial Fellow Carl Segerstrom is now working from Spokane, Washington. HCN’s editors are dispersing far and wide as we prepare for even deeper coverage of the West and its issues. New to our customer service team, Karen Howe. Meanwhile, back at our Paonia, Colorado, headquarters, we’re pleased to welcome Karen Howe onto the customer service team. 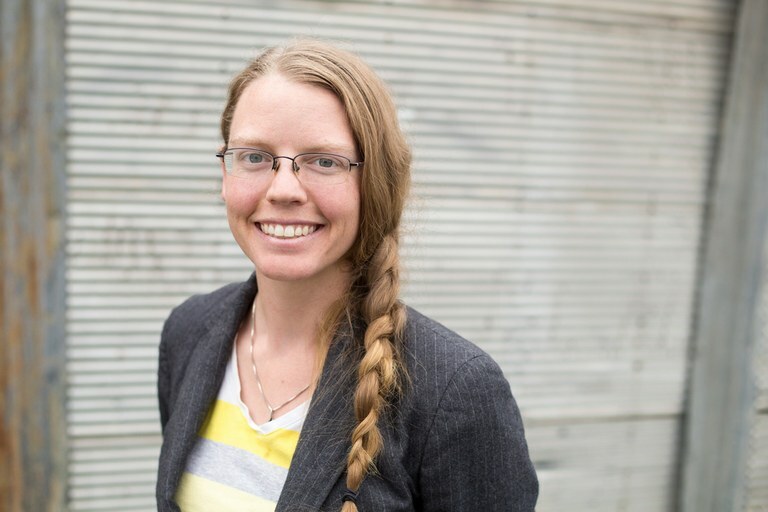 Karen, a native of Salt Lake City, Utah, moved to Paonia in 2014 after graduating from Western State Colorado University with degrees from the art and environment and sustainability programs. She comes to HCN after working for Thistle Whistle Farm in Hotchkiss and the Delta County Library system. In her free time, she’s practicing bow hunting — with the help of a left-handed bow she found at a garage sale. Over the last few weeks of summer, visitors have found their way to our multiple Colorado outposts. Basia Irland, an ecological artist and longtime subscriber, stopped by our Paonia offices before a speaking engagement at Elsewhere Studios. In Gunnison, subscriber John Herrick paid a visit, as he prepared to run an ultra-marathon on Sept. 1. You may have seen our, um, creative request for donations to bridge our budget gap (and if not, let’s just say it had to do with “pants”). We ended up raising $129,169, surpassing our goal of $100,000. Many thanks to those who donated! We’re also thrilled to announce that “Inside the Firestorm” by Douglas Fox, published in HCN in August 2017, won the American Geophysical Union’s Walter Sullivan Award for Excellence in Science Journalism, in the features category. This is his second year of winning the award for HCN. Nice work, Doug! Finally, if you happen to be in Gunnison on Sept. 14, we invite you to the High Country News Live event at Western State Colorado University at 6:30 p.m. Editor-in-Chief Brian Calvert will moderate a conversation with three assistant editors, Paige Blankenbuehler, Emily Benson and Anna V. Smith, about a few recent stories. This event will help kick off our annual autumn board meeting.